In this highly competitive world, cosmetic appearance plays a large role in the success of individuals today. Unfortunately, birth defects of varying degrees do happen, causing cosmetic, physical, emotional and psychological damage. At the Beverly Hills Center for Plastic & Laser Surgery, Dr. Ben Talei, a dual board certified facial plastic surgeon offers a variety of birthmark removal and treatment procedures. These procedures may not always fully eliminate a birthmark, but they can dramatically improve the effects of the birthmark on a child’s life, both physically and psychologically. Dr. Talei is an industry leading physician in the field of birthmark removal surgery. 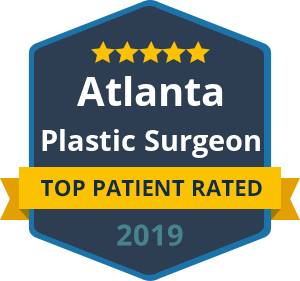 He has an exceptional amount of training and expertise, including a dual fellowship training in facial cosmetic and reconstructive surgery and vascular birthmarks and congenital anomalies with laser surgery. Dr. Talei does not perform cookie-cutter surgical procedures, but he takes the time to fully understand the medical and surgical needs of his patients. This is along with their desires for the outcome of the surgery. From there, he will tailor his procedures to achieve the agreed upon results. If you or your child are a candidate for birthmark removal surgery or treatment, contact our birthmark removal specialists at the Beverly Hills Center for Plastic & Laser Surgery to arrange for a consultation with Dr. Talei. This not only helps him understand more about the birthmark or birth defect, but it also gives you the opportunity to discuss your goals for the surgery.